LIMATA provides its international PCB manufacturer customer base with installation & training, software and hardware services as well as regular maintenance support for its installed LDI equipment base. 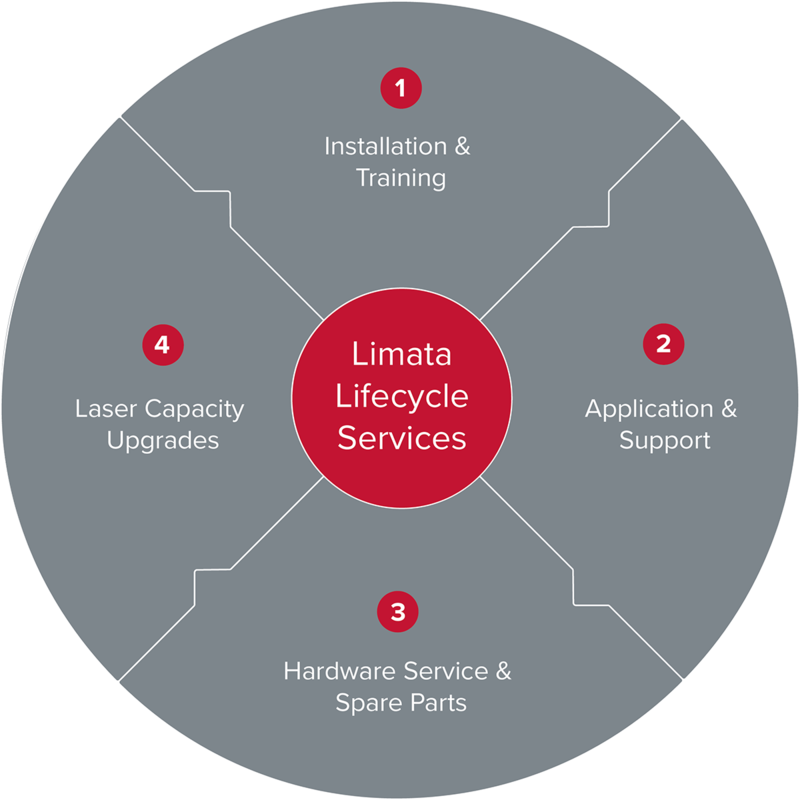 LIMATA‘s integrated lifecycle service approach minimizes the total costs of ownership by securing stable uptimes, a fast ROI and an extended lifetime for our LDI equipment. LIMATA offers regular hardware maintenance, software services/upgrades, as well as regional spare part support via its regional affiliates and service centres in order to ensure short-response times. Installation services, staff and operator trainings as well as production bring-up support services are being provided in connection with each LDI system sale. Extended application and operator trainings are available upon request.